U.S. News & World Report is pleased to announce the 2015 STEM Leadership Hall of Fame, honored in advance of the U.S. News STEM Solutions conference, which will be held June 29-July 1 in San Diego. In choosing the honorees, U.S. News sought out leaders who, among other things, have achieved measurable results in the science, technology, engineering, and math fields; challenged established processes and conventional wisdom; inspired a shared vision; and motivated legions of aspiring STEM professionals. Craig R. Barrett is a leading advocate for improving education in the U.S. and around the world. He is also a vocal spokesman for the value technology can provide in raising social and economic standards globally. In 2009, he stepped down as chairman of the board of Intel Corporation, a post he held from May 2005 to May 2009. Barrett was born in San Francisco. He attended Stanford University in Palo Alto, California, from 1957 to 1964, receiving Bachelor of Science, Master of Science and Ph.D. degrees in materials science. After graduation, he joined the faculty of Stanford University in the department of materials science and engineering, and remained through 1974, rising to the rank of associate professor. Barrett was a Fulbright Fellow at Danish Technical University in Denmark in 1972 and a NATO postdoctoral fellow at the National Physical Laboratory in England from 1964 to 1965. He is the author of more than 40 technical papers dealing with the influence of microstructure on the properties of materials, and a textbook on materials science, Principles of Engineering Materials. Barrett joined Intel in 1974 and held positions of vice president, senior vice president and executive vice president from 1984 to 1990. In 1992, he was elected to Intel's board of directors and was promoted to chief operating officer in 1993. In 1997, Barrett became Intel's fourth president, chief executive officer in 1998 and chairman of the board in 2005. Barrett previously served as chairman of the United Nations Global Alliance for Information and Communication Technologies and Development, which works to bring computers and other technology to developing parts of the world. He chairs Change the Equation, a national education science, technology, engineering and math (STEM) coalition; National Forest Foundation and Dossia. He co-chairs the Lawrence Berkeley National Laboratory Advisory Board and vice chairs Science Foundation Arizona. Barrett is chairman of the Governor's Arizona Ready Education Council, president and chairman of BASIS Schools, Inc., and a member of the board of directors of Achieve Inc., Carnegie Institution for Science, K12 Inc., Society for Science and the Public, Arizona Commerce Authority Board, Impele Holdings LLC and Grameen Intel Social Business. He is International co-chairman of the Russian Federation's Skolkovo Foundation Council and serves on the Council for Foreign Relations Task Force on U.S. Education Reform and National Security, as well as numerous advisory boards. Barrett has been an appointee of the President's Advisory Committee for Trade Policy and Negotiations and the American Health Information Community. He has co-chaired the Business Coalition for Student Achievement and the National Innovation Initiative Leadership Council, and has served as a member of the Board of Trustees for the U.S. Council for International Business, the Clinton Global Initiative Education Advisory Board, and numerous other boards, policy and government panels and committees. Senior Director, Bechtel Group, Inc.
Stephen D. Bechtel Jr. is senior director of Bechtel Group, Inc. He is also senior director of The Fremont Group, separate affiliated companies that manage and operate in marketable securities, natural resources, and other selected investments. In addition, Bechtel is chairman of the S.D. Bechtel, Jr. Foundation and the Stephen Bechtel Fund. His business headquarters are in San Francisco. Bechtel served as the third-generation head of the worldwide engineering and construction business that began in 1898 as a small Western railroad construction firm. Today, Bechtel Group, Inc. provides a broad range of technical, construction and management services to clients in many industries around the globe, including power, petroleum and chemicals, surface transportation, aviation facilities, water supply and treatment, infrastructure development, pipelines, mining and metals, and telecommunications. Bechtel holds a bachelor's degree in civil engineering from Purdue University and a master's degree in business administration from the Stanford University Graduate School of Business. He also holds an Honorary Doctorate of Engineering degree from Purdue University, an Honorary Doctorate of Science degree from the University of Colorado, and an Honorary Doctor of Engineering degree from the Colorado School of Mines. Bechtel served as a director on the boards of several major corporations including General Motors and IBM. Presidents Johnson, Nixon and Ford each appointed him to presidential committees and commissions. Bechtel is a recipient of numerous industry, academic and professional society awards. 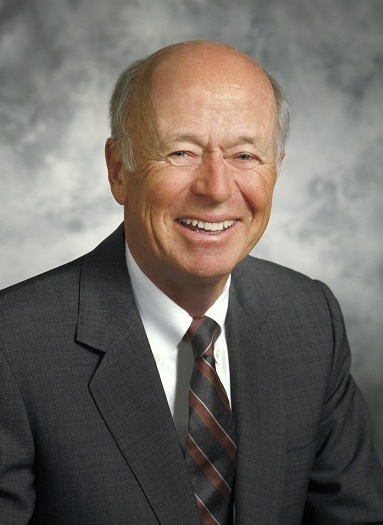 He served several industry and community organizations as chairman, including The Business Council, The Conference Board, Inc., and the National Academy of Engineering. He served as vice chairman on the California Council for Science and Technology Task Force in 2006, advising the governor of California on increasing California's technical talent pool by improving K-12 science and mathematics education. Bechtel currently serves on the Hoover Task Force on Energy and the MIT Energy Initiative External Advisory Board. 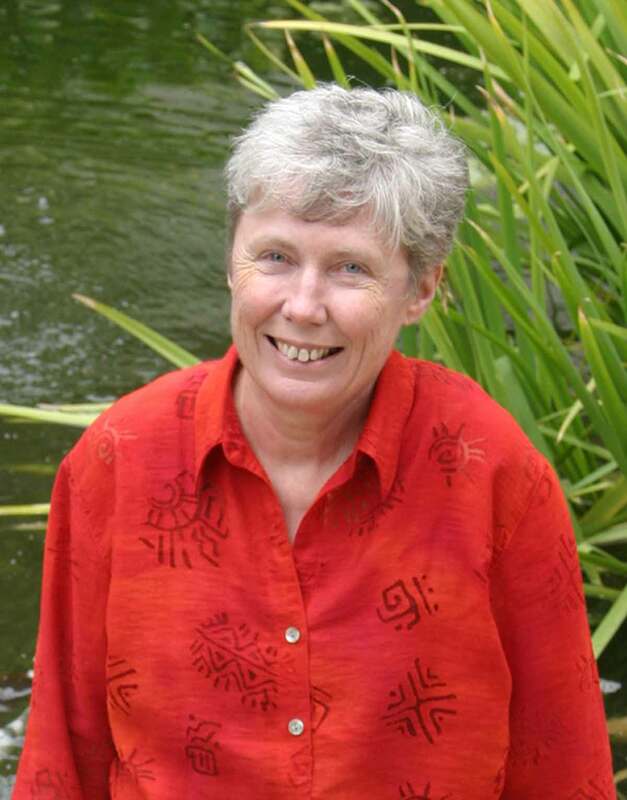 Maria Klawe began her tenure as Harvey Mudd College's fifth president in 2006. A renowned computer scientist and scholar, Klawe is the first woman to lead the college since its founding in 1955. Prior to joining Harvey Mudd, she served as dean of engineering and professor of computer science at Princeton University. Klawe joined Princeton from the University of British Columbia where she served as dean of science from 1998 to 2002, vice president of student and academic services from 1995 to 1998 and head of the department of computer science from 1988 to 1995. Prior to that, Klawe spent eight years with IBM Research in California, and two years at the University of Toronto. She received her Ph.D. (1977) and B.Sc. (1973) in mathematics from the University of Alberta. Klawe has made significant research contributions in several areas of mathematics and computer science, including functional analysis, discrete mathematics, theoretical computer science, human-computer interaction, gender issues in information technology and interactive multimedia for mathematics education. Her current research focuses on discrete mathematics. Klawe is a renowned lecturer and has given talks at international conferences, national symposia, and colleges across the U.S. and Canada about diversity in science, technology, engineering, and mathematics disciplines and industries, gender and gaming, and lessons from her own career in STEM industry and education. She has devoted particular attention in recent years to improving K-12 science and mathematics education. Klawe is one of 10 members of the board of Microsoft Corporation, a board member of Broadcom Corporation and the nonprofit Math for America, a fellow of the American Academy of Arts & Sciences, a trustee for the Mathematical Sciences Research Institute in Berkeley and a member of the Stanford Engineering Advisory Council, the Advisory Council for the Computer Science Teachers Association, and the Canada Excellence Research Chairs Selection Board. She is co-chair of the Scientific Advisory Board of the Simons Institute at UC Berkeley. She is the recipient of the 2014 Women of Vision ABIE Award for Leadership and was ranked 17th on Fortune's 2014 list of the World's 50 Greatest Leaders. Shirley Malcom is head of education and human resources programs at AAAS. She works to improve the quality and increase access to education and careers in STEM fields as well as to enhance public science literacy. Malcom is a trustee of Caltech and a regent of Morgan State University, and a member of the SUNY Research Council. She is a former member of the National Science Board, the policymaking body of the National Science Foundation, and served on President Clinton's Committee of Advisors on Science and Technology. Malcom, a native of Birmingham, Alabama, received her Ph.D. in ecology from the Pennsylvania State University, master's in zoology from UCLA and bachelor's with distinction in zoology from the University of Washington. She holds 16 honorary degrees. Malcom serves on the boards of the Heinz Endowments, Public Agenda, the National Math-Science Initiative and Digital Promise. Internationally, she is a leader in efforts to improve access of girls and women to education and careers in science and engineering and to increase use of science and technology to empower women and address problems they face in their daily lives, serving as co-chair of the Gender Advisory Board of the UN Commission on Science & Technology for Development, and Gender InSITE, a global campaign to deploy science and technology to help improve the lives and status of girls and women. In 2003, Malcom received the Public Welfare Medal of the National Academy of Sciences, the highest award given by the academy. An American by choice, Eduardo J. Padrón arrived in the United States as a refugee at age 15. Since 1995, he has served as President of Miami Dade College, a national model of student achievement and the largest institution of higher education in America, with more than 165,000 students. An economist by training, Padrón earned his Ph.D. from the University of Florida. In 2009, Time magazine included him among the 10 best college presidents in the United States; in 2010, Florida Trend magazine named him Floridian of the year; and in 2011, The Washington Post recognized him as one of the eight most influential college presidents in the country. In addition, the Carnegie Corporation of New York granted him its prestigious Centennial Academic Leadership Award; he is the first college president to receive the National Citizen Service Award from Voices for National Service; he has been named an Ascend Fellow by the Aspen Institute; and he is the recipient of the Hesburgh Award, the highest honor in U.S. higher education. During his career, Padrón has been selected to serve on posts of national prominence by six American presidents. He currently chairs the White House Commission on Educational Excellence for Hispanics, and he is former chair of the board of directors of the American Council on Education and the Association of American Colleges and Universities. Padrón is widely recognized as one of the top educational leaders in the world. He serves on the boards of the Council on Foreign Relations, the Business/Higher Education Forum, RC-2020, the College Board Advocacy and Policy Center, the White House Fellows Selection Panel, and the International Association of University Presidents. He has held leadership positions on the American Academy of Arts & Sciences/Humanities Commission and on the boards of the Carnegie Foundation for the Advancement of Teaching, the Hispanic Association of Colleges & Universities, the Kennedy Center for the Performing Arts, Campus Compact, and the Congressional Hispanic Caucus Institute. 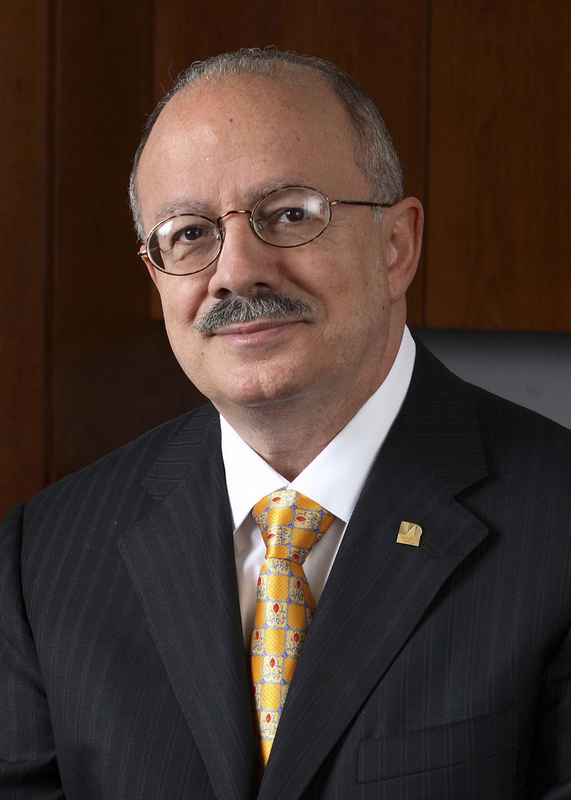 He is also a past board chair of the Federal Reserve Bank of Atlanta, Miami branch. Padrón has received some of the most prestigious awards in and out of academia and more than 15 honorary doctorates from leading universities such as Rollins, Princeton and Brown. He is also the recipient of highest honors by the governments of foreign nations, including France, which named him Commandeur in the Ordre des Palms Académiques; Argentina, which awarded him the Order of San Martin; and Spain, whose King Juan Carlos II bestowed upon him the Order of Queen Isabella. Learn about the STEM Leadership Hall of Fame inductees for 2014, 2013 and 2012.